Check out our special offers and packages. Make the most of your car sharing in Amsterdam with car2go. Well, go ahead and invite them! When your car2go is less than 30% charged, you can earn credit (valid for 30 days) for recharging it. Electric car2go can be recharged at all charging stations – the app will guide you there. Do you like to shop outside Amsterdam? Now you can shop 7 days per week at shopping mall Stadshart in Amstelveen. We have added the shopping mall to our home area. 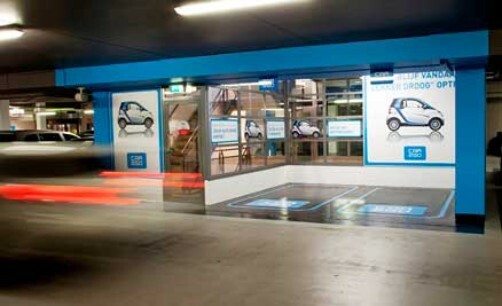 You can park at the special car2go parking spots in Q-Park Stadsplein (Stadsplein 101 Amstelveen).